When is a NEIPA not a NEIPA? The brewing team at 3 Ravens has taken its popular Juicy in many a direction in the past 18 months: bigger Juicy; pulp free Juicy; lemon Juicy. Now, for GABS 2018, it's created one that, while it contains many of the same processes and ingredients, comes across as Juicy in little more than name. Admittedly, they don't shy away from such a conclusion. 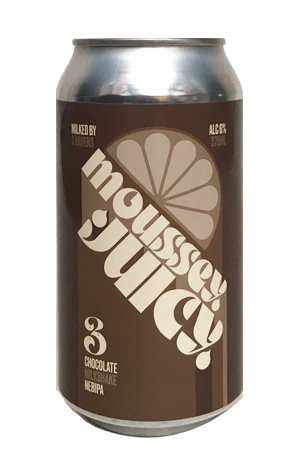 It's tagged a "Chocolate Milkshake NEIPA", is described as "Smooth. Creamy. Sultry." and is loaded with cocoa, cacao, vanilla, lactose, pectin and roasted grains. And the result is something that sits sweetly amid the "popular with GABS' crowds" dessert beer category.